As a part of the international Internet backbone between Europe and North America, our servers are using highly redundant, pan-European Tier 1 fibre-optic network which serves the basis for our hosting services at rates of 50 Gbits, featuring high bandwidth and unsurpassed availability and quality. 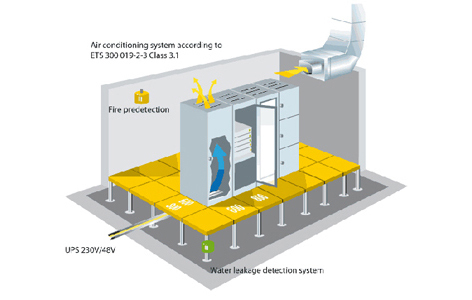 Air-conditioning according to ET 300019-2-3-Class 3.1 keeps optimum temperature for servers to run quiet. 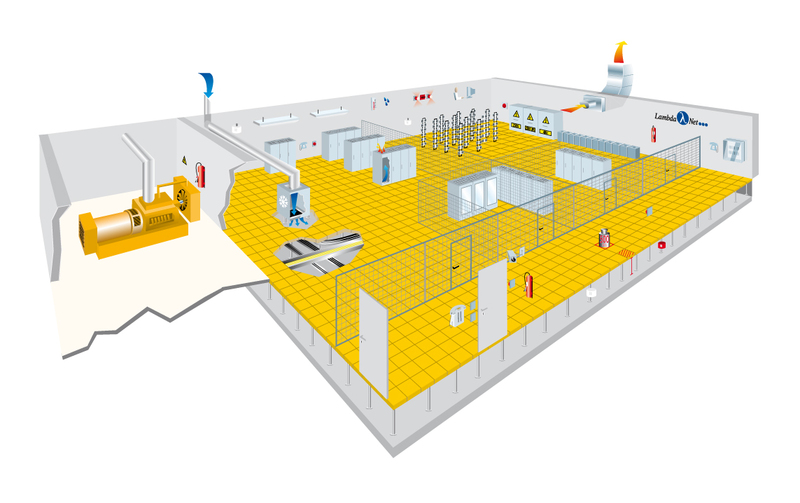 Fire alarm systems at floor and roof level, plus fire extinguishing systems are keeping an eye. UPS (230V/48V) Diesel generator for 24 hour full load operation in case of power outage.